The Flesh Eaters “I Used To Be Pretty” OUT NOW! 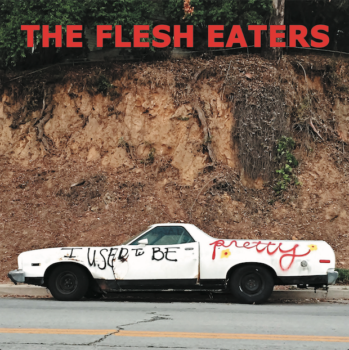 The Flesh Eaters new album I Used To Be Pretty is out now! The Flesh Eaters, LA’s unconventional “supergroup”, reunites classic 1981 lineup of Chris D, Dave Alvin, John Doe, Bill Bateman, Steve Berlin, and DJ Bonebrake for I Used to Be Pretty their first new recording in more than 35 years. The LA Weekly described the band as “a Hollywood institution, one who never sounded like anything but themselves and never did anything that was even slightly predictable.” Led by cerebral poet, singer and author Chris Desjardins (Chris D), The Flesh Eaters deliver a propulsive and unrelenting 11 song set that assaults the senses with agonized lyrics and acrobatic musicianship while reaffirming their status as punk iconoclasts. Stream and purchase your copy of the record HERE! The Flesh Eaters Announce New Album, I Used To Be Pretty! Become a Yep Roc Completist in 2019!